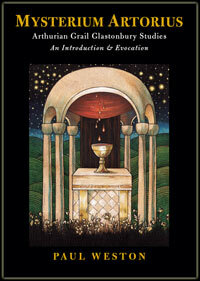 My book Atargatis is now available globally in Kindle format. It is probably my favourite work as it covers such a wide spectrum of subject material. 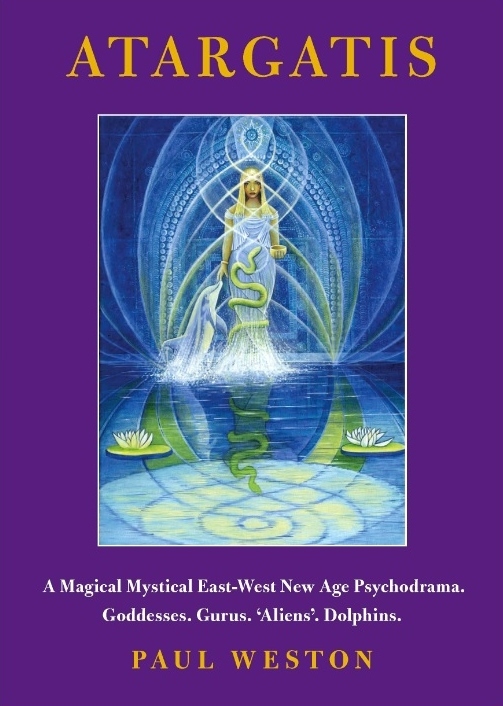 A wild story of complete immersion in a magical mystical lifestyle. An Astonishing East-West New Age Blend. A Goddess Extravaganza. 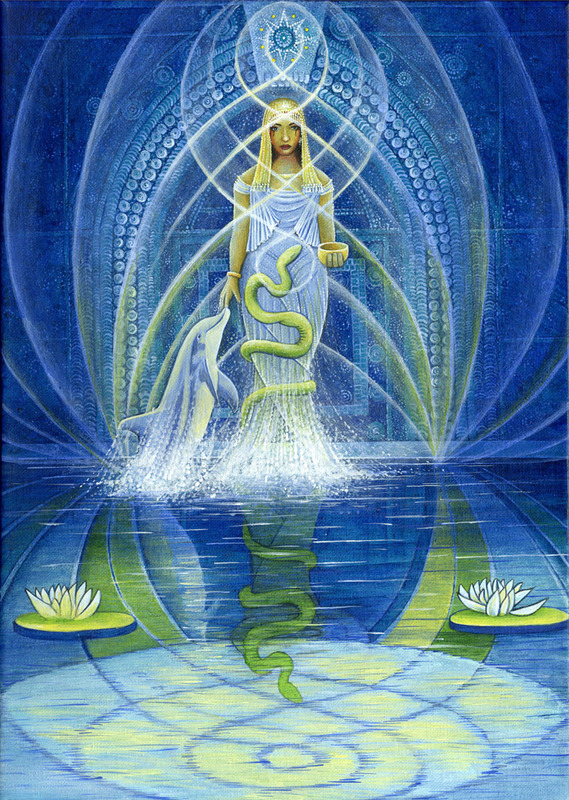 Atargatis, Ishtar, Astarte, Asherah, Tanit, Isis, Babalon, Inanna, Nuit, Aphrodite, Lilith, Matronit, Shekhina. Psychic Questing. Green Stone, Sobek Neferu Re, Typhonian Thames, The Temple of the Blue Flame, St Bega: the Egyptian star, Avebury Form of the Serpent, Dream Demons, Egyptians and Phoenicians in Ancient Britain. Magical Fictions. Twin Peaks, Robin of Sherwood, Jewel of the Seven Stars, The Sea Priestess. Locations across Time and Space.Margate Seashell Grotto, Hierapolis, Glastonbury, Hadleigh Downs, Babylon, Shambhala, Brean Down. Also Includes: UFOlogy, Fellowship of Isis, Tibetan Buddhism, Past Lives, Reiki, 11:11, Dolphin Channelling, Rebirthing. 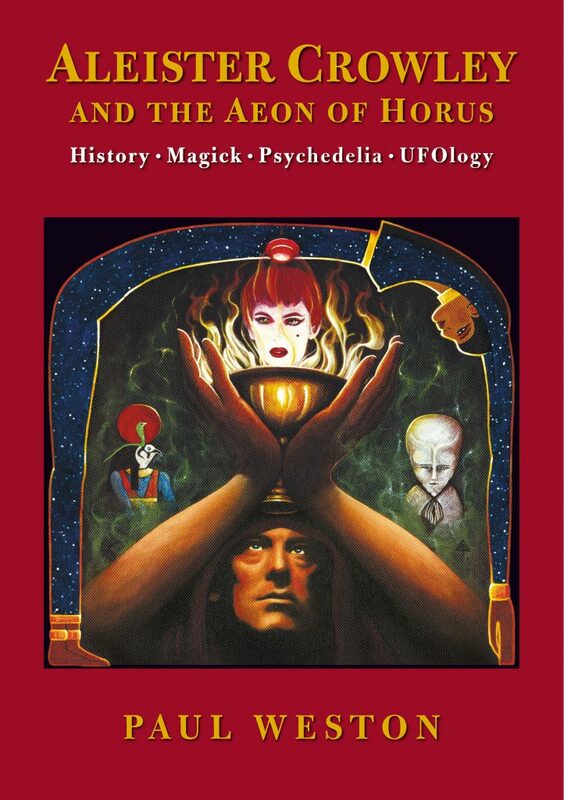 Featuring: Dion Fortune, Aleister Crowley, Kenneth Grant, HP Lovecraft, Whitley Strieber, Carlos Castaneda, Andrew Collins, James Rendell Harris, Jose Arguelles, Morien O Morgan, Solara, Graham Phillips, Timothy Wyllie, Elagabalus, James Joyce, Cunning Murrell, Ozric Tentacles. The Gurus. Osho Rajneesh, Swami Muktananda, Sai Baba, Meher Baba. Create your own Synchronicity. Hack your destiny code. A few of my video lectures feature material from the book . This lecture served as the Glastonbury launch of the book. Not all of the intense material in this lecture is in Atargatis but a lot of it is and it gives a good indication of the mood of the book. This lecture contains some of the core material in the book. The family stories in this video are included in an appendix. Buy the book on Amazon Kindle UK. 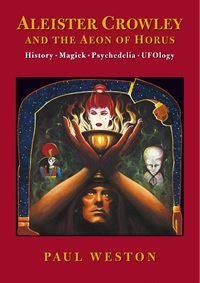 Ten years on from its initial publication, Aleister Crowley and the Aeon of Horus is now available in Kindle format.I’m still very proud of it and feel the sections on the Babalon Working, Jung and the Seven Sermons, Leary in the Algerian desert, Loch Ness, UFOlogy, the Montauk legend, and the L Ron Hubbard appendix are pretty damn good. There are filmed lectures of mine where I have dealt with topics featured in the book. I have posted them before over the years but I’m gathering them together again together now as part of the promotion for the new format. This presentation from the March 2015 Glastonbury Occult Conference is by far my most watched video. The recent TV series Strange Angel has helped to increase interest in Jack Parsons. 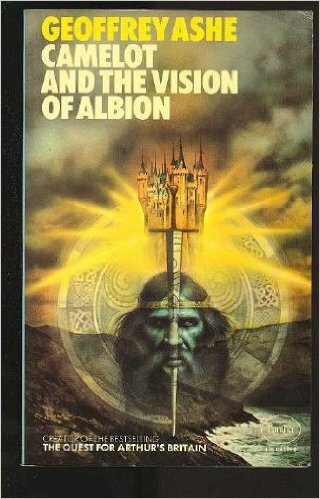 I talked to Gordon White on Rune Soup about Parsons in 2018 on the anniversary of his death. 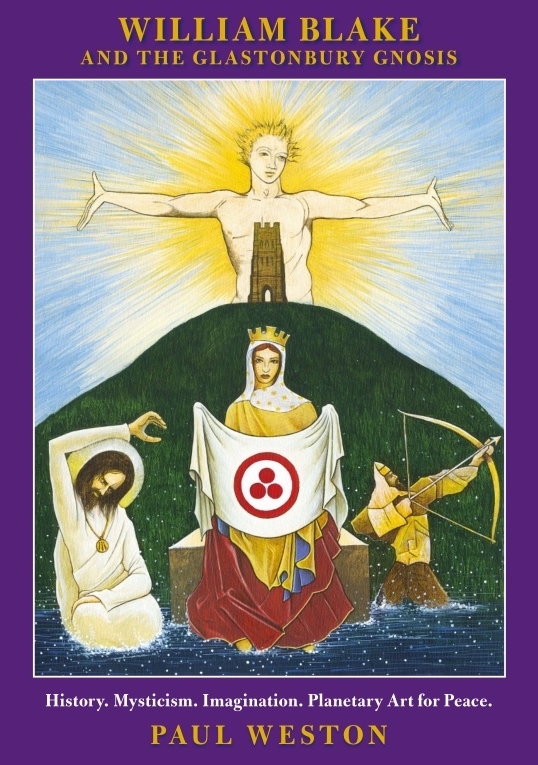 The October 2014 Glastonbury Occult Conference saw me discussing what I feel is one of the core subjects in my Crowley book, a comparison between The Book of the Law and Jung’s Seven Sermons to the Dead. I tackled the Jung Crowley interface again with this blend of visuals, music, and text. I’m very happy with the combination of material I assembled in the book on the bizarre subject of Crowley and the Loch Ness monster. I’ve come an interesting full circle now. 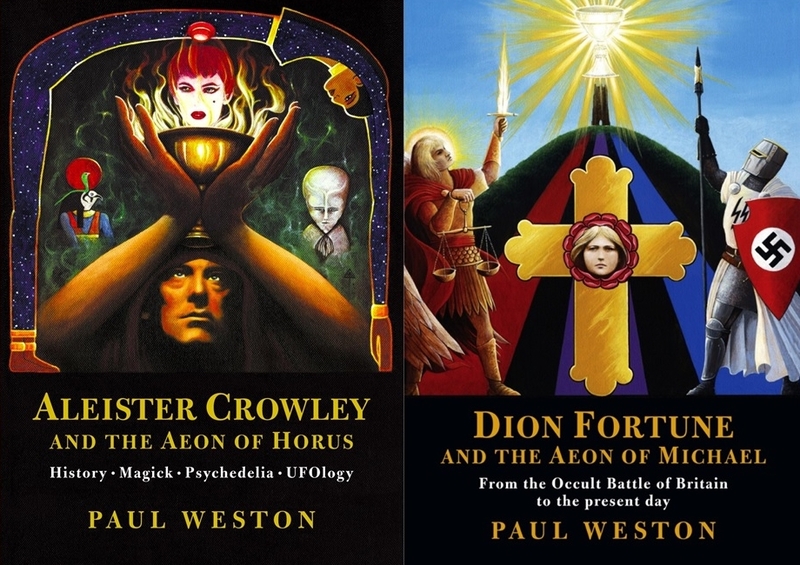 When I first conceived of the project that became my recently published The Occult Battle of Britain, I thought of it as a companion piece to the Crowley book (pictured above with the cover of the first edition). 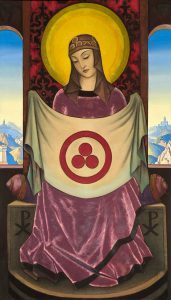 Inspired by Robert Anton Wilson, it would be a meta-programming Reality Tunnel experiment whereby I looked at a very similar period of time with another model, moving from the Aeon of Horus to the Age of the Archangel Michael, supposedly begun in 1879, that was so important to Rudolf Steiner. The work developed its own dynamic and I omitted the originally intended present day material but I still consider the two books as sitting together so it is great to get them both up on Kindle within a month now that the huge writing cycle they represent is completed. During the eight and a half years that I was periodically engaged in my writing project that was recently concluded with the publication of my The Occult Battle of Britain I gave a number of public presentations where I road-tested the material. A few were filmed. My launch at the Glastonbury Occult Conference included two presentations. One was a lecture featuring material from the book. The second consisted of me discussing the wild and intense personal background to my immersion in the subject. Both of these events were filmed. I have posted two of these videos before here but I thought it would be useful to bring them together as a further promotion for the book. Buy the Book on Amazon UK as paperback or in Kindle format. Here is a video of a special Glastonbury presentation I gave on Dion Fortune’s birthday (Dec 6th) in Abbey House. 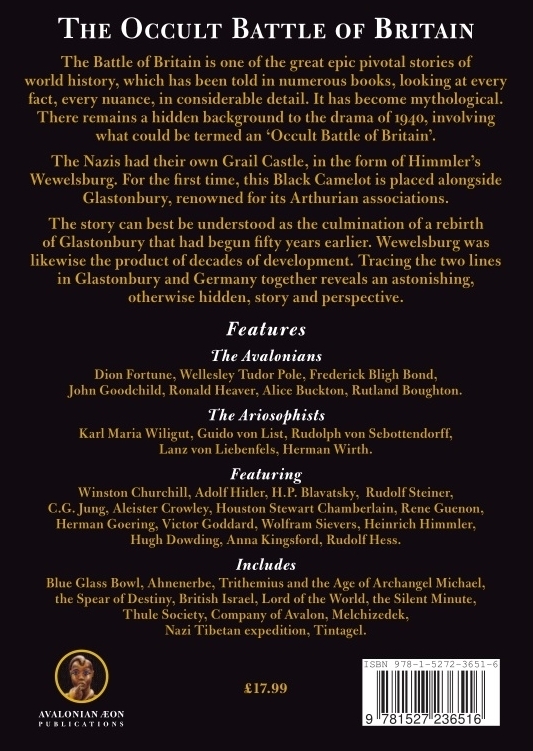 It covers the broad topic of the Great War and interwar period roots of the 1940 Glastonbury visualisations. 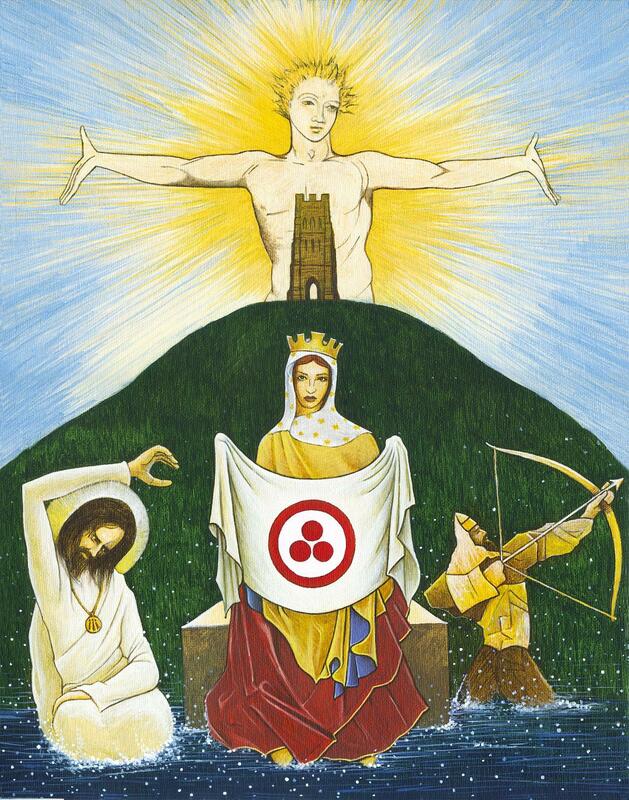 Includes Wellesley Tudor Pole, Alice Buckton, Rudolf Steiner, Angels of Mons, the 1922 Glastonbury pageant. The whole thing also serves as a teaser preview for the book I’m currently working on that should be published in February 2019. The performance of the Grey Monk at the Garden of Love musical evening in the Glastonbury William Blake Festival involved layers of complexity that demonstrate the extent of the mysterious and exhilarating dynamism that drove the whole event. I knew from the moment that I started writing my book William Blake and the Glastonbury Gnosis that Allen Ginsberg would be featured due to his importance in championing Blake in the sixties and I was fairly clear about how I was going to do that. The full extent of his inspiration was something I could not have remotely anticipated. I began writing and reading about Ginsberg on June 3rd. The next day I realised that it had been his birthday. This is the kind of sign I take as indicating that I have connected to the inner core of a writing project. Strong proof of this soon followed. The three days of our event were determined firstly by the availability of a venue for our intended finale, a musical evening. August 10th was our Friday option. The previous week had been considered but was already booked. With this in place, the previous night was secured for my book launch lecture in the Town Hall, which in turn changed my pace of work to ensure it had been finished in time to be delivered for that date. The Wednesday was set aside for an afternoon public poetry recital around Glastonbury Market Cross. I started to investigate videos of musical performances of Blake poetry in the hope of inspiring our musicians. Allen Ginsberg had recorded a whole album of them. I was aware that he had memorably sung a version of the Grey Monk during the legendary Democratic Party Convention protests of 1968 that had been met with what official reports later described as a ‘police riot’. When I looked into it further for the purpose of what I believed to be simply getting some details for a brief account in my book, something very striking made itself known. The Grey Monk is a very interesting poem with the usual Blakean multiple levels of meaning. It is a consideration of tyranny. One of the most powerful of the poet’s responses to the revolutionary agitations of his time, in the USA, and particularly France, was his warnings concerning how idealism can be corrupted into tyranny. This cycle might take a long time. His feelings concerning the USA have considerable contemporary resonance in this respect. The monk himself is a personification of the victims of this idealism gone wrong. A definite stirring of these negative aspects had been in the late sixties and Ginsberg, as a great Blake enthusiast, recognised this. His performance of the poem was perfectly timed. It has often been suggested that the behaviour of the police in Chicago that day was a prefiguration of the flavour of the imminent Nixon administration and a period of considerable darkness in American politics. The poem also deals with the major issue of how to resist tyranny. This had been important to the counter-culture as it organised protests against the Vietnam War and attempted to find new political forms of discourse. Armed revolt against tyranny readily becomes what it has resisted. For Blake, the French Revolution was the great example. There are slightly different versions of the poem, one included in a kind of interlude in the long multi-form Jerusalem. It was born out of one of the few real dramas in Blake’s life, the time he appeared in court after an altercation with a soldier and stood a real chance of receiving the kind of punishment that would have comprehensively ruined his life. The poem depicts a tortured pacifist who will not recant. The broader backdrop sees the recent horrors of the French Revolution as failing to accomplish their stated aims and ending up repeating the strategies of tyrants down through the ages. The version of the poem in Jerusalem features in a kind of interlude between sections after a short essay to The Deists. ‘Those who Martyr others or who cause War are Deists, but never can be Forgivers of Sin. The Glory of Christianity is, To Conquer by Forgiveness. 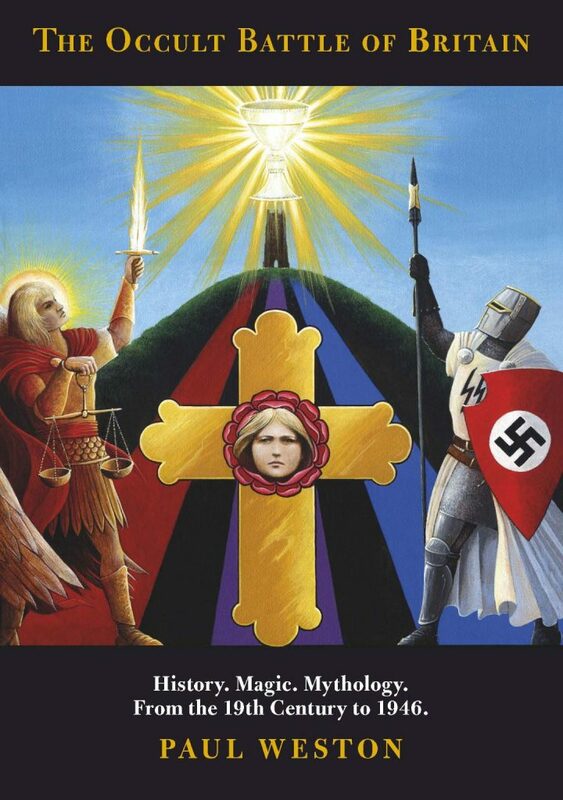 All the Destruction, therefore, in Christian Europe has arisen from Deism, which is Natural Religion.’ The eighteenth century rationalists, Voltaire, Rousseau, Gibbon, and Hume, are deemed responsible for the intellectual climate that could distort the revolutionary impulse into terror and repression. “My children die for lack of bread. The bane of all that on Earth I lov’d. Ginsberg had clearly chosen to express his feeling of closeness to Blake in this intense situation where he himself could easily have been arrested. America was now the Empire. He left an account that told of the circumstances and the date when he got the tune in his head. He was returning from the funeral of his friend, the Beat Generation legend, Neal Cassady, who had inspired Jack Kerouac to write On the Road. It was August 10th 1968. Exactly fifty years ago to the day from our musical evening. It was immediately obvious to me that the Grey Monk simply had to be performed that night to Ginsberg’s tune. Now I had to inspire someone with the same enthusiasm I felt to actually do that. There is a recorded version of Ginsberg’s rendition on a later album of Blake songs. I have to admit that his vocals are not always to my liking and I can only listen to so many of his Blake performances in succession before having to stop. 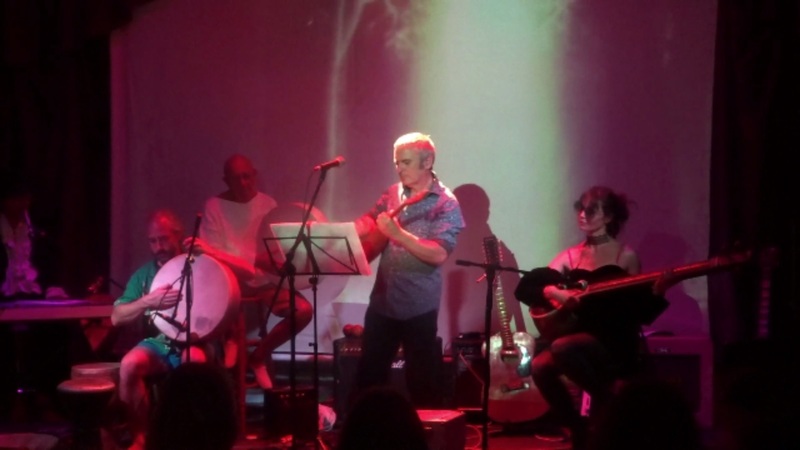 At the end of June I was present at an event celebrating the 70th birthday of local musician and prog-rock legend Judge Smith (a founder member of Van der Graaf Generator). I found myself chatting with another local legend, Michael Tyack, also a man with prog credentials as presiding genius of the band Circulus. I told him the Ginsburg 50th anniversary Grey Monk story and he enthusiastically affirmed that he wanted to perform it. I knew that he could make something from Ginsberg’s tune that would be worthy of the occasion. 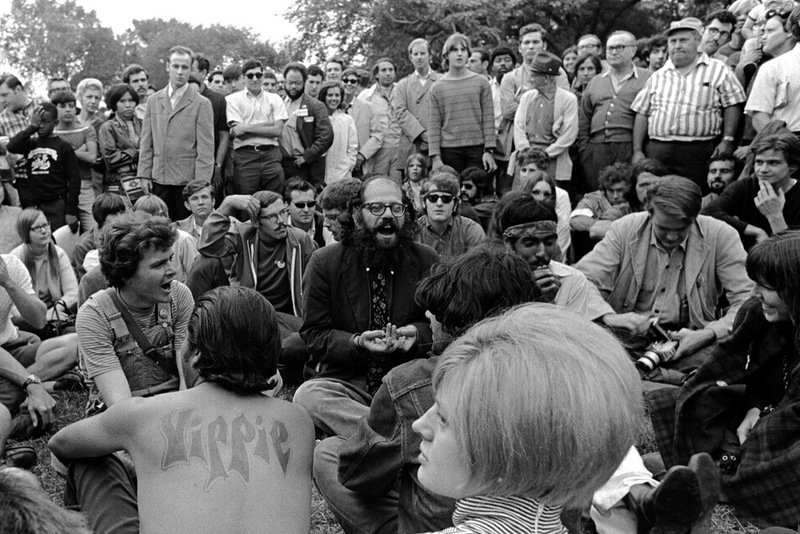 I felt that something quite powerful and mysterious was going on and assembled some photos of Ginsberg from that period, and particularly Chicago ’68, with the intention of projecting them during the performance. 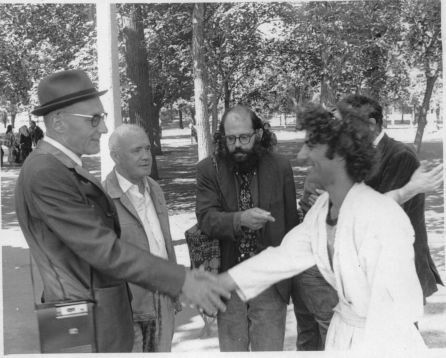 Allen Ginsburg and Jean Genet watch William Burroughs meeting Abbie Hoffman. A free-floating musical combo assembled that occasionally appear in different forms as the Mystics of Avalon. Most of the musical evening featured the performers, with Grey Monk seeing them all come together with Michael Tyack to perform what he had arranged. Accompanying him were Brakeman on balalaika, guitar and vocals, Judge Smith and Tim Gallagher on percussion, and Violet on tampura and vocals. The Grey Monk performance was the final piece of the evening. I’m very happy that our recording of it makes clear how fantastic it was. Michael Tyack’s wall of sound, created through his cosmic dulcimer, a Turkish instrument called a Saz, and ably assisted by the other musicians was, to my ear, incredible. Hearing Ginsberg’s tune set to a backdrop far better than his own version on that special anniversary night was really something. There were profound frustrations however. The light show projections had worked fabulously all through the evening. I had supplied some imagery I had used in my book launch presentation and created a few fresh visuals as well. This had all been woven in with our projectionists stock of effects and imagery very well. Now, for reasons unknown, he was simply unable to access the black and white photos he had stored separately in his device. There was virtually no imagery projected at all. It was also later found that the camera that had filmed the whole evening had gone repeatedly out of focus throughout the performance. It did have a tendency to do this, and there are examples in other numbers and in the recording of my lecture but, in this case, it was doing it throughout the performance. I was left with a feeling of sadness that it could have been so much better. At least we had a record of how good the musical performance had been. A memorable fancy took hold to explain the mystery of why things hadn’t quite gone a hundred percent. I recalled the story of Beach Boy Brian Wilson’s frazzled mind-state during the attempt to record the follow-up to Pet Sounds. Smile became the great lost album of the sixties. Wilson had conceived of an Element Suite featuring sections inspired by Fire and Water etc. The Fire music was recorded in a typically eccentric manner by musicians dressed in fireman hats. A bucket was brought in containing burning wood so that everyone would be aware of the evocative smell. A few minutes of the original recording remain and it’s pretty damn strange. Recurring fire alarm noises feature throughout, set against hypnotic drumming. It can be placed alongside the Beatles Revolution 9. A huge mythology has grown up around this episode with variant details. A nearby building caught fire the same night. Or a few fires broke out in the local area within 24 hours. Wilson freaked out and felt that his music had pyro-kinetic qualities. The tapes were placed in a vault. Extreme versions have attempts to literally destroy them by setting fire to them failing. A muted rendition did appear but it took decades for Wilson to process what had happened and the piece was finally performed live as part of his presentation of a finished version of the original Smile project in 2004. As a full-blown Glastonbury mystic, I was willing to believe that, if our presentation of the Grey Monk had fully manifested as intended, we would have somehow helped to stir up tumultuous events that would have been dangerous, too much to handle, and might have messed up our minds for years to come. Glastonbury has its darker side and I am well aware of it, having catalogued murders and deaths redolent with occult strangeness in a number of my books, primarily Glastonbury Psychogeography. The tropical summer of 2018 helped to up the edginess here. A group of boozers and druggies who larged it in the High St were erupting into violence on an almost daily basis. There had been a stabbing in St John’s churchyard whilst an event was occurring inside. This had happened on June 22nd, right in the middle of the solstice period and a few days before the feast day of the saint the church is dedicated to. I wrote of the Gordon Riots in my Blake book. In the UK a Street Fighting Man vibe was in the air. I was aware that, in the USA, intense tumult was ‘just a shot away’ and in our Garden of Love event I preferred to affirm that love was ‘just a kiss away’. 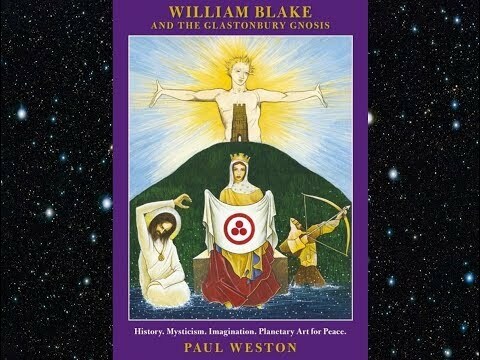 We had in fact been saved to return with a larger scale Blake Glastonbury event that would morph in with the fiftieth anniversary of Woodstock on August 15th to 17th 2019. There would be no getting away from the accompanying big Manson 50 that will just precede it. We would have plenty of opportunity to become part of bigger agitations in the Body of Albion that will no doubt accompany the deepening of the Brexit process. Who knows what the state of play might be in the USA by then? We had a year to prepare ourselves. I recognise that this is not a normal way of considering how reality might function but neither was the whole conception behind the event. Whatever the case, the Grey Monk performance on that 50th anniversary night was a richly satisfying experience. From the Glastonbury William Blake Festival, here is my book-launch presentation. It covers my usual wide range of diverse subject matter, including including 18th century occult underground, the antiquarian vision, Gordon Riots and punk, Allen Ginsberg, Nicholas Roerich and Jose Arguelles, the Glastonbury Zodiac, and ‘Jerusalem’ as Shekhinah. It’s July 23rd, a date which, thanks to Robert Anton Wilson, I think of as Cosmic Trigger day. I like to make it a bit special and try and set the flavour for the rest of the summer period which tends to be the most intense and powerful part of the year for me. On this day last year, I premiered the Yuri Leitch artwork for my book Atargatis, which was still six months away from completion. I’m very pleased to be able to do the same again, with the last work that Yuri did before his 50th birthday last weekend. 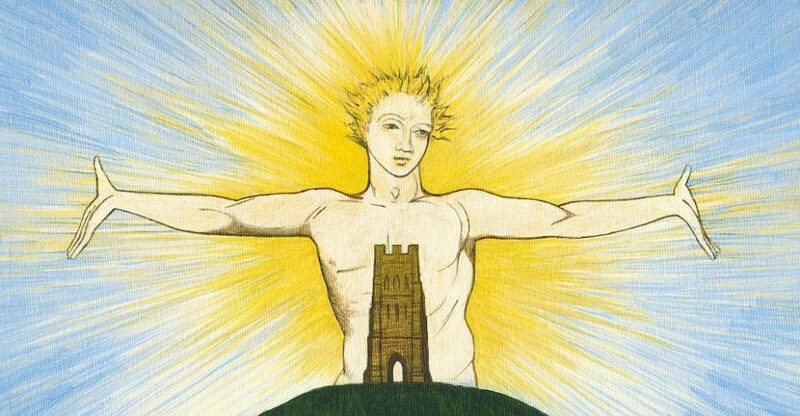 This time though, the book is already at the printers and should manifest for the Glastonbury William Blake Festival. There is some interesting further continuity. The face of Aria Astra Amorosa features again on the figure of Our Lady of Glastonbury in the form of the Roerich Madonna Oriflamma. 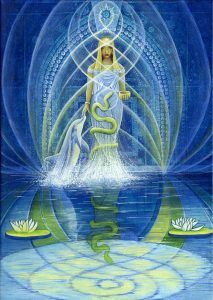 Atargatis features a consideration on the Shekhinah, a form of the divine feminine in Judaism that seems to be rooted in the ancient Canaanite goddess Asherah who was installed in Solomon’s Temple for some time and was, effectively, the wife of Yahweh. The Shekhinah is back again as I delve into the Kabbalistic influences on Blake and examine his idea of Jerusalem. More details to follow but, for now, here is the imagery.